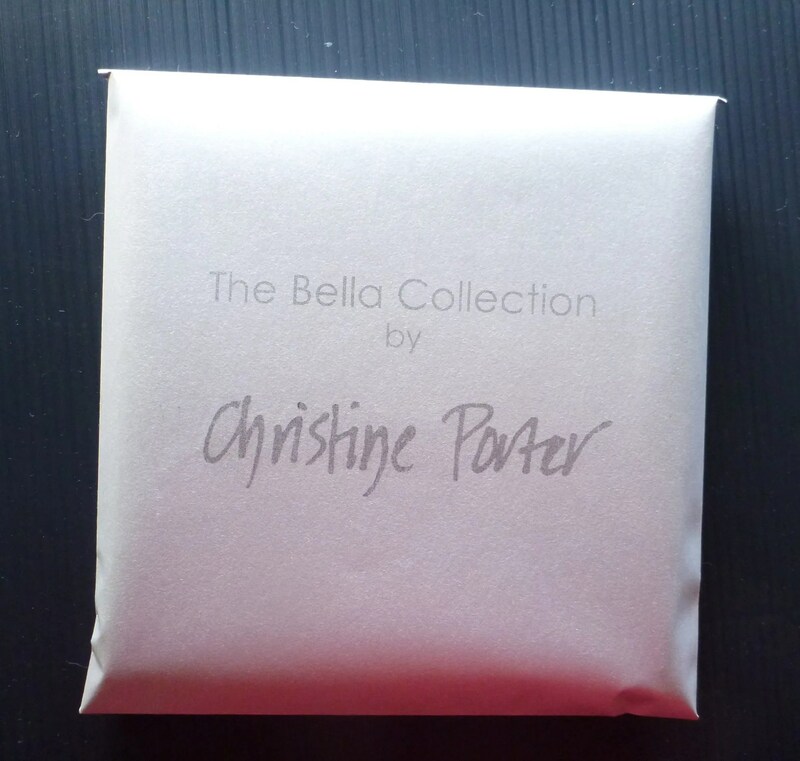 The Bella Collection was named after Christine Porter’s Scottish great aunt Bella, and as a gentle reminder of Full Moon Publications‘ design policy: “We. Make. Beautiful. Things.”. The cards are reproduced from a selection of Christine’s small multi-plate colour etchings, from her Other people’s treasures suite and include the title of the etching below the image. First published in 2005 they have sold around the world. 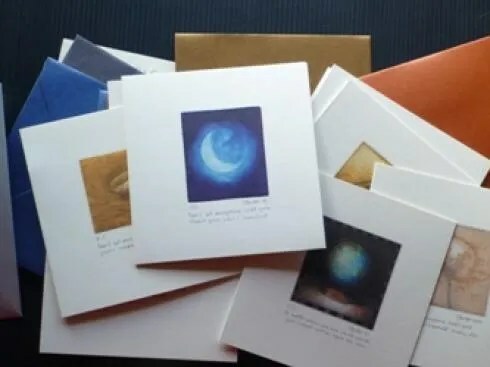 The cards are sold individually or in sets of ten. Scroll down for more information about each design. 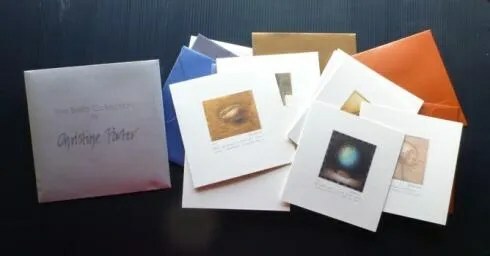 Description: blank greeting cards, reproduced from Christine’s etchings, 125x125mm with matching metallic envelopes, printed on heavy, cream art-card. Prices: $5.50 each. 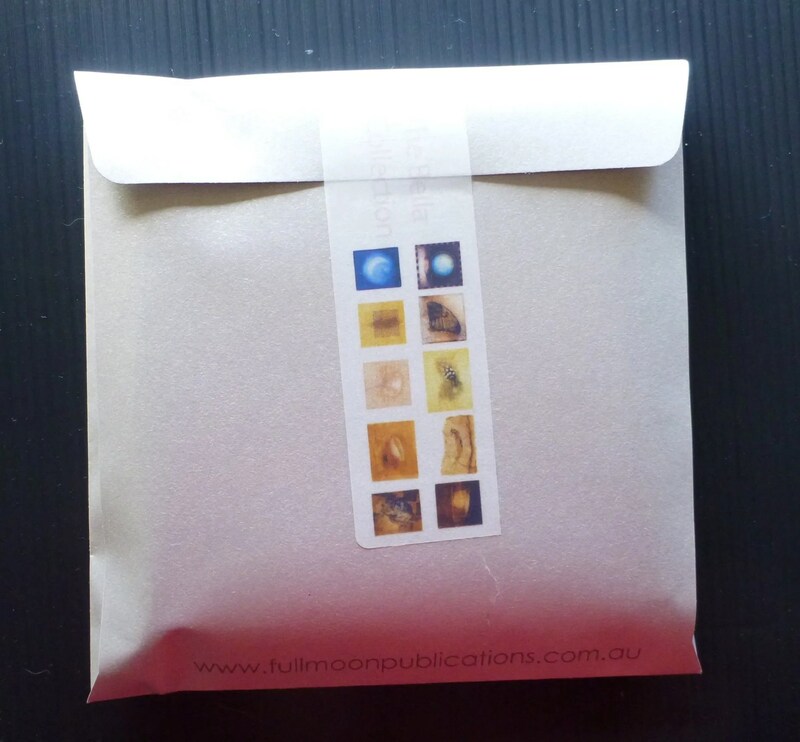 All prices in Australian dollars and includes postage worldwide. For wholesale prices (ten or more of any one design) please contact Christine directly. Description: 10 Bella cards + envelopes in silver metallic envelope packet, with descriptive postcard. Prices: $36.00 each. 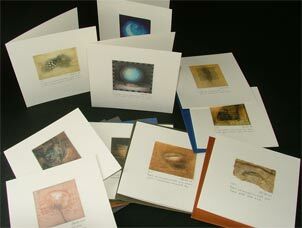 All prices in Australian dollars and includes postage worldwide. For wholesale prices (five or more packets) please contact Christine directly. OR contact Christine directly if you’d prefer not to shop on-line. OR scroll down for Australian card stockists.